Helping Cheshire CT homeowners recover from the recent storm damage through insurance claim approvals. Cheshire Connecticut is a home to 29,261 hardworking & peaceful residents, and about 9,937 residential buildings are built in this town. You being one of those hardworking residents is probably here looking to do a remodeling in your home. The roof is one of the most important parts of your home, so hiring the best roofing contractor in Cheshire might be what you’re thinking right now. Energy efficiency. Old roofs lose their ability to reflect the sun’s heat over time. With a new energy-efficient roof, the amount of heat that enters your home is reduced. Protection from leaks. Leaks are a common problem among homeowners. Timely roofing maintenance work addresses leaks so they don’t enter your home and damage your foundation. Boost in appearance. Wouldn’t it be great to increase the curb appeal of your property? You can choose to install new shingles or fix roofing issues to achieve this. Aside from these benefits, new roofing increases the resale value of your home. According to REALTORS, a brand new roof belongs to the top 5 exterior projects that appeal to buyers. At Slavin Home Improvement, we take pride in our professional, licensed, and experienced roofers. If you’re looking to get a new roof or solve existing pesky roof problems, we are ready to help. As a trusted roofing contractor in Cheshire, our clients commend us because of our unbeatable prices, quality products, and expertise. Why entrust your roofing needs to Slavin Home Improvement? 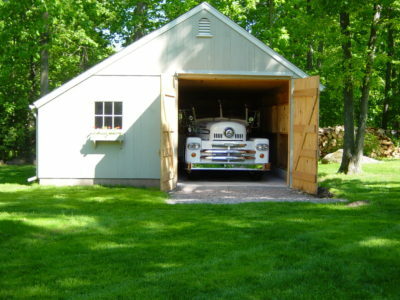 You can trust that we are a licensed and insured Connecticut contractor. We adhere to the highest industry standards to maintain our reputation and protect your home. At Slavin Home Improvement, we stand behind our work and cover any defects in our roofing materials. Our 10-year warranties give you peace of mind. We install roofing and other home improvement materials from big manufacturers like Owens Corning, Majestic, Harvey, Certainteed, and GAF. For our GAF materials, our popular choice is the Timberline HD Shingles that comes in various colors. Aside from residential roofing, we provide home improvement services including siding and gutters. Our services streamline your projects, helping you get a home that keeps you safe and happy.